Sitecore have spent a long time designing a CMS which provides great flexibility for both developers and content editors. If you have designed your renderings and placeholders in an intelligent way a seemly complex page can become a playground for content editors. Despite Sitecore’s huge improvements throughout the years one fundamental problem however still seems to remain – or should I say, I have not yet found a good out of the box solution! Perhaps Sitecore themselves can prove me wrong. 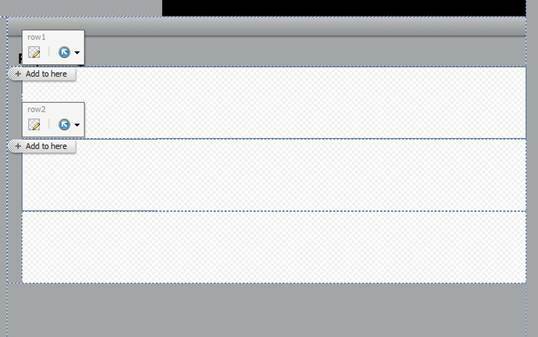 We could put control’s into the left and right placeholders via the Page Editor or indeed via Layout Details. Control A’s placeholder path would represent /main/halfleft. Control B’s placeholder path would represent /main/halfright. Now consider we would like to add a second row using the same container – We hit a problem when we try and add controls into the placeholders of this second container because the placeholder paths resolve to the first container. 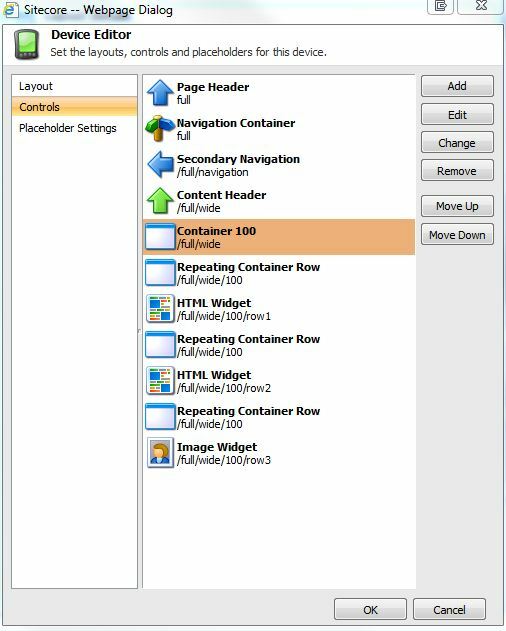 This is quite untidy, and if content editors want to add many rows where do you stop, Sitecore could become full of multiple versions of the same container rendering. A better approach would involve just one rendering which we would want repeated, again for example our 5050Container.ascx. We would want to automatically suffix placeholder keys each time a repeating container is added to the page. For example, if we had two 5050Containers’s on the page the keys for the first container would dynamically be generated as halfleft1, halfright1 and then for the second container halfleft2, halfright2 and so on. Before I started implementing this approach I had a quick browse on Google and came across a very good article by Nick (@techphoria414) http://www.techphoria414.com/Blog/2011/August/Dynamic_Placeholder_Keys_Prototype. Nick had a similar idea which I’ve used to implement my approach. The concept is quite simple, create our own implementation of the sc:Placeholder control and let this decide whether the container should be repeated, if so change the key. – They sit in the same placeholder. – They are the same control. // Find the last placeholder processed. // Group of containers which sit in the current placeholder (i.e. they have the same placeholder id). Heya i’m for the primary time here. I found this board and I in finding It truly useful & it helped me out a lot. I hope to give one thing back and aid others like you aided me. Thanks, this is exactly what I needed for a similar scenario, but the dynamic keys result in placeholder settings set on the std values not to be applied anymore… any solution for that? Hi “M” – Unfortunately the only way round this is to duplicate your current placeholder settings for ‘Row’. e.g Find ‘row’ (which will not work any more because sitecore expects row1 – rowx now), copy it and rename the new item ‘row1’ (also update the ‘placeholder key’ field row -> row1). Repeat this a number times – I’ve gone up to 10 before. It’s not ideal but placeholder settings are quite hidden away from content editors so not really a problem for us. Thanks for this. was fairly painless to implement thanks to this guide. The only thing i needed to modify was the retrieval of contains which sit in the current placeholder since we had placeholders with uppercase letters. Just added the .ToLower() after Placeholder field. I’m getting a null reference in renderings var.